Supermoon sent us scrambling to the nearest park for open ground. Cameras in hand, we had visions of something extraordinary. The awe came when I did not focus on or with my camera but stood with mind silenced, tracing her perfection. I imagined some funky God of Geometry with a giant compass and extremely steady hands, carving our cosmic muse into carbon paper skies. He didn’t know her beauty until the asteroids and meteorites chiseled her barren cheeks and the sun dazzled her silly. We heard the unmistakable howl of a coyote in the nearby woods. Believing in the myth added to the ambience. I became lost in the mystery of moon tides and the depths of craters. I wondered where I stood with her in astrological terms, being born on the first day of the whole zodiac. I am clearly a beginning…to something. Her porcelain face revealed no secrets. With fuzzy photos, we turned to go home. She followed, her golden light gushing over darkened streets. I drank her energy, let her sparkle my spirit one more time, just in case I would not see her Supermoon magic again. Written for dVerse, “Haibun Monday: You say it’s your birthday?” Toni is back and she has given us options for this haibun challenge. 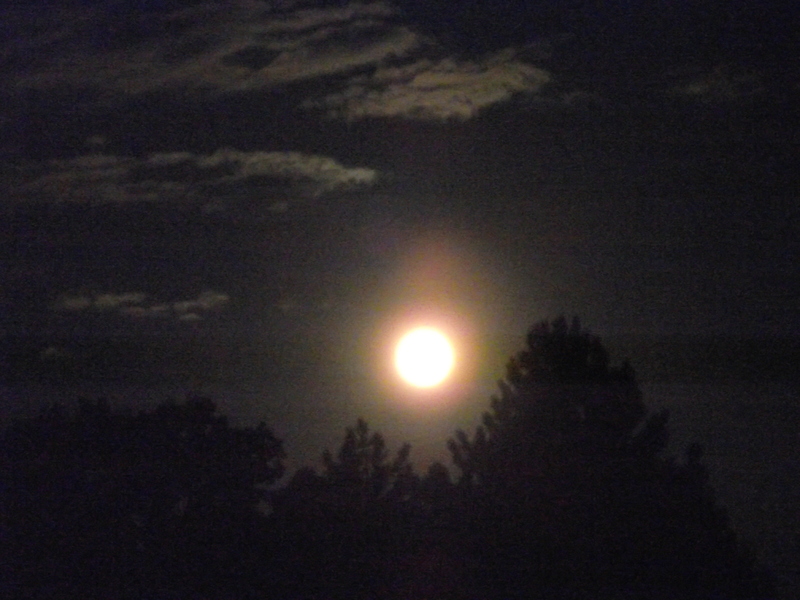 “You have three choices: birthday, full moon, or combine the two.” Check it out. There’s still time to join in! Posted in Haiku, Life, Photography, Poetry and tagged astrology, haibun, moon, supermoon, zodiac. Bookmark the permalink. Written for Lill’s poetic prompt, “Razzle Dazzle Me!”. Not feeling very sparkly lately. Thought I’d blame it on the moon. Posted in Life, Poetry and tagged inner struggle, moon, poetics, razzle dazzle me, worry. Bookmark the permalink. Then why are you so mystical? In awe of your face? That you will light my way? Grace has us musing at the moon for Poetics. I wouldn’t normally re-post a poem, but I don’t believe I have shared this one with dVerse. C’mon over. Be inspired by the moon and some amazing poetry. Posted in Life, Nature, Photography, Poetry and tagged asking the moon, full moon, moon, moon personified, moon-muse. Bookmark the permalink. De is hosting over at dVerse Poets Pub today. We are writing quadrilles of exactly 44 words incorporating the word “bubble”. Fun stuff! Posted in Life, Nature, Photography, Poetry and tagged clouds, dreams, dVerse Poet's Pub, fantasy, head trip, imagination, moon, quadrille. Bookmark the permalink. Posted in Life, Nature, Photography, Poetry and tagged asking the moon, astronomy, full moon, moon, moon personified, mystical. Bookmark the permalink.